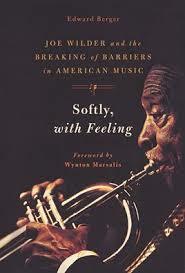 I’ve learned this morning (May 9, 2014) from his friend and co-author Ed Berger that trumpeter and jazz pioneer Joe Wilder has died. He leaves a huge hole in the world. There was a flurry of false information back in February, and I spread what was erroneous bad news, but now it is sadly true. Joe was not only a shining example to other musicians; he shone for us all. He was a gentleman in the way the word is no longer used: someone whose concern for his fellow human beings was strong. He expected men and women to treat each other kindly — he did this as a matter of course — and he was shocked when it didn’t happen. He was the very model of grace — and I mean a quality that goes beyond simple politeness. We met first at an outdoor concert in 1981 where I took some photographs of the band. Later, through a fan of Joe’s, I obtained his address (this was perhaps ten years later) and we entered into correspondence about the photos and some tapes of him he had not heard. Those letters were precious documents — evidence of how that gentle man faced even the most mundane things. Later, when I had the privilege of meeting him in person, his kindness and good humor was immense: the Beloved and I cherish a chance meeting with him on the street outside Birdland, where our collective delight was memorable. We weren’t simply thrilled to meet Joe Wilder — let me make this clear — he made us feel as if we were his dearest friends, and the memory of that chance encounter warms me now. I will let others tell Joe’s stories — a particular friend, Ed Berger, has done and will continue to do that, superbly here. And happily Joe lived long enough to celebrate his ninety-second birthday among friends and to see that book published. Instead, I will present some of his music that I was fortunate enough to capture. Joe lives on in our memory, not only for his brilliant warm sound, his elegant capers on trumpet and fluegelhorn, but as a model of how to live: with kindness, compassion, awareness, and amusement. These videos are from 2010, late in his playing career. Thank you, Mr. Wilder, for being. You came to us on February 22, 1922, and gave generously of your self every day. I write these words with sorrow and send love to your family. But I think of you with joy. And Joe was far too modest a man to present himself as a model of how others should behave, but I think if we had him in our thoughts as an embodiment of loving action, he wouldn’t mind. 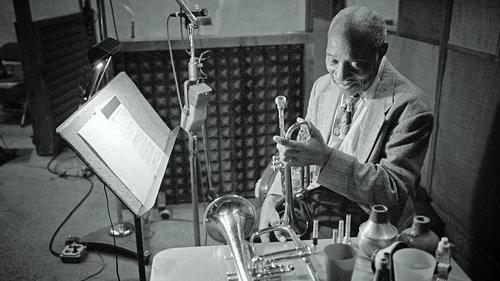 Trumpeter Joe Wilder was admired and loved as musician and man. The new biography by Edward Berger, aptly titled, embodies Wilder’s deep gentle spirit, unlike many new biographies that document and magnify their subject’s flaws. Berger and Wilder met in 1981 and they worked on this book for nearly a decade. Wilder’s gentle presence is evident on every page, and the book is not a showcase for his ego (unlike some other biographies); rather, this book is a loving embodiment of teamwork between two mature individuals with a great respect for accuracy. Not all the stories are gentle — the book has a number of studies of focused unkindness and unfairness — but the book itself is not a settling of old scores. The biography has three intertwining stories. 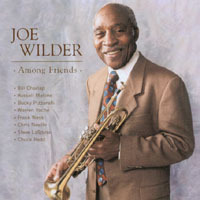 One is Wilder’s growth as a musician, from his childhood in Pennsylvania to being one of the most respected trumpet players in the world, with associations with everyone from Lionel Hampton to Gunther Schuller, Louis Armstrong, Count Basie, Duke Ellington, Alec Wilder, Rudy Van Gelder, Billie Holiday, Benny Goodman, Alec Wilder, Benny Carter, Ernie Kovacs and a hundred more. In his recollections of six decades as a professional musician, we observe jazz changing from a popular dance music played everywhere to a rarefied phenomenon in clubs, parties, and festivals. However, it is more than a listing of gigs and concerts, more than a series of anecdotal protraits. Joe was a rare individual, and the book properly lingers on his early life and development as a person, joyous, playful, but ultimately serious about his own place in the world and about the professionalism of his art.. The second strand is Wilder’s unheralded part in the long struggle to have racial equality in the United States. His stories (and Berger’s careful research) of discrimination and legalized abuse – personal and institutional – are painful. When we reach 1980 in the book and it is evident that the struggle is coming to a close, it is a relief. In my encounters with Joe — he would not have wanted to be called “Mr. Wilder” more than once — he was down-to-earth, friendly, enthusiastic, welcoming, someone who did not draw lines between Musician and Listener, someone who made friends. But he had a deep and serious need to be treated fairly. Being taken advantage of — on the stand or off — infuriated him, and he told stories of being treated badly by musicians and non-musicians with a mixture of polite rage and astonishment. A fair man, Joe simply could not understand why others would be anything but. And the third is a sweet chronicle of Wilder himself, a delightful man: genuine, humble, witty, compassionate, “Mr. Social,” as one of his daughters calls him. He emerges as a remarkable man, who would have been so if he had never played a note: sensitive to injustice and ready to act against it, but a gracious, kind person. Berger’s writing is worthy of his subject. The biography might make one feel as if Wilder is close at hand, fully realized. Berger’s research is superb but never obtrusive; his prose is understated yet effective. The book offers rare photographs (Wilder was also a fine photographer, seen in later decades with at least two cameras when not playing), and a discography full of surprises. Joe Wilder has been wonderfully captured in these pages, this loving, accurate portrait. All through these pages, I wanted to telephone Joe and congratulate him, even to say, “Have you read this wonderful book about you? It is just like you; it sounds just like you!” Reading it was a bittersweet affair: Joe is there for the ages, for people who never got to hear him in person or to share a word with him, but the book was so evocative that it made — and makes — me miss him all the more. The third part of this tribute is yet to come. Joe’s family, friends, among them Ed Berger and Warren Vache, have planned a memorial service for Joe — to be held on September 8, 2014, at St. Peter’s Church in midtown Manhattan, begining at 6:30 PM. We all agreed not to announce the musicians in advance. We want people to come because they want to remember Joe Wilder, not because their favorite musicians are appearing for free. But, as you can imagine, those participating will be quite a stellar assemblage! The one person we yearn to see there won’t be there, but we will certainly feel his presence in the stories and music that his friends and family share with us.